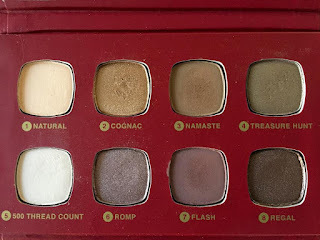 Every year as the holiday sets & palettes come out from all of the beauty & skincare lines, I usually don't pay too much attention due to fact that many of these sets are just way too over-the-top. They either contain too much "excess" stuff that I do not need, or isn't just anything new & exciting. However, I do always peruse bareMinerals' holiday releases (it's no secret that I'm a fan of the deluxe original foundation that drops every year). This year, I cause a glimpse of The Regal Wardrobe palette, and fell in love with it not only because of the wearable & versatile colors, but also because of how practical it is. Needless to say after about 2 months of pondering, I picked this palette up, and I'm glad I did. It include 8 shadows, 4 on the bronze-gold side & 4 with purple-taupe tones, 2 blushes, a bronzer, & a blush. 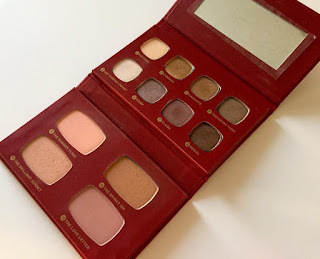 The shadows are super pigmented & absolutely gorgeous, as to be expected from any bareMinerals shadows. 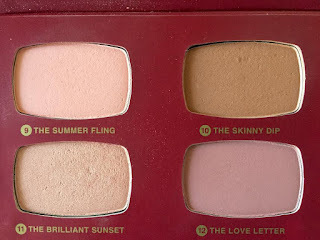 The blushes, highlight, & bronzer are gorgeous, but the only thing I would say is that if you have a deeper skin tone, I don't think they will show up much on the skin. This palette is definitely geared toward the more paler skin tones, which is a bit unfortunate. All in all, I am really happy with this purchase. Besides being gorgeous, it is an absolute dream for traveling since it puts so many products that I would be bringing along on a trip with me anyway, in a sturdy & compact (the palette is just a smidge bigger than my iPhone 6 when closed) case. 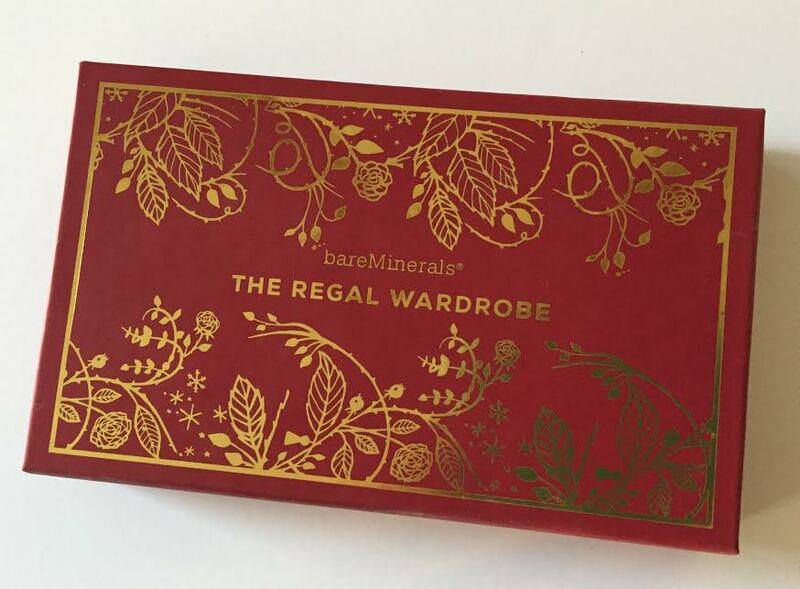 Are there any holiday sets or palettes you've been eyeing lately?